High quality organic matcha with a balanced rich bitter-sweet taste, creamy texture and malachite green colour. Its full-bodied flavour makes it ideal to drink on its own but also in lattes, smoothies and lemonades. It is obtained in the 1st and 2nd harvest from tea plants that are specially shaded from direct sunlight. This process results in higher chlorophyll and L-Theanine contents and a richer, greener color. The fresh leaves are then collected, dried and ground to powder. Moya Matcha Traditional is grown in the Uji region of Kyoto Prefecture, known for the cultivation of highest quality green tea for over 800 years. The Uji region is famous for its fertile soils and clean water. The green tea plants there have ideal conditions for growth thanks to hills providing good sunlight, frequent mists that protect delicate leaves from frost and high amount of rainfall. 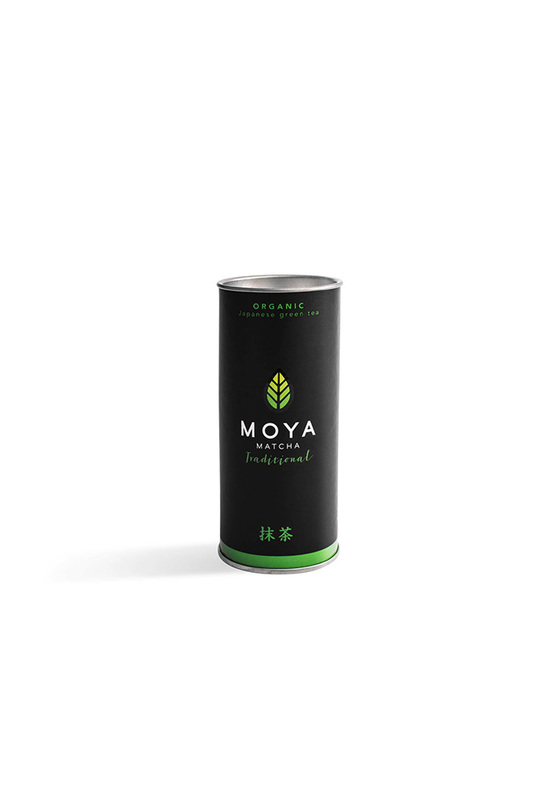 Moya Matcha is meticulously cultivated and harvested on small family-owned organic tea fields. It is then processed locally in Japan and dispatched in small batches to assure peak freshness for all our grades. This helps preserve all the qualities of the tea leaf and maintain high levels of minerals and antioxidants. Moya Matcha Traditional is also available in 50g, 100g and 250g packaging. You can also find it in our 1,5g uni-dose Moya Matcha To Go! sticks that make it easy to prepare matcha (cold or hot) in a shaker or in a bottle of mineral water.